Written by Internal Medicine physician, Dr. Christine Princeton, D.O., also known as the Little Prepper Doc. This is an educational blog covering every day medicine, wilderness medicine and disaster preparedness. You know there is something to be said about the ingenuity of our current hemostatic agents. 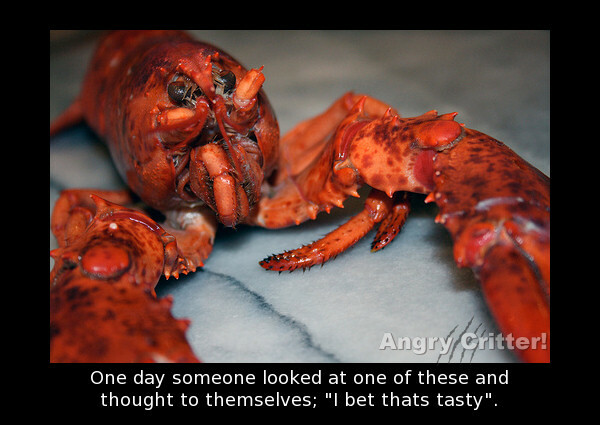 I mean seriously, who would've ever looked at a lobster and thought, "Hmmm, I bet that's going to make a great hemostatic agent. So we have hemostatic agents from sea cockroaches and Idaho spuds. In addition to those, there are less commonly known but just as ingenious hemostatic agents that deserve attention. The following is a starter list of the various products out on the market. 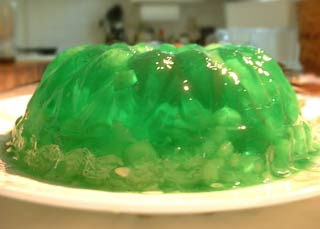 There is always room for jello. First benefit: You will not get hauled to the nuthouse for using powdered gelatin as a clotting agent. "I swear she said a lobster would stop the bleeding!" equals time in a loonybin. Second benefit: It is a fast clotting agent that is very easy to buy. Seriously, you don't have to drive down to Mexico and beat off drug cartels to get it. 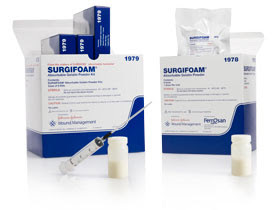 But for the purposes of this post, I am going to talk about the more surgical grade gelatin foams. Who doesn't love a good foam? 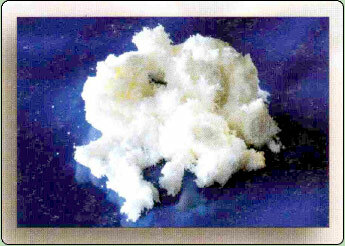 Gelatin foams began to be used in 1945 and were manufactured from the gelatin found in animal hides. These gelatins were whipped and baked until the formed a sponge foam. They come as a powder which you mix with a sterile saline solution (preferably) or sterile water to form a paste. These products include: Gelfilm, Gelfoam, and Surgifoam. Gelatin foams create a type of matrix that instantly clots a wound site. 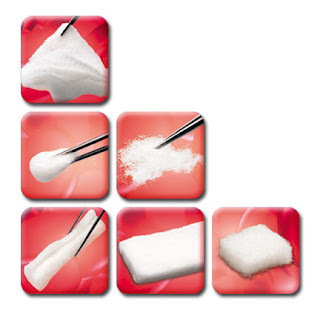 These are used mainly for small blood vessel bleeds, bone bleeds, and venous seeping. The benefits are that they are absorbed by the body within 4-6 weeks, have a neutral pH, and are nonantigenic or don't cause antibody reactions. There are some cautions with these products. Gelatin foams swell. So, they should not be used in closed spaces within the body, especially near nerves. Truthfully, you shouldn't be sticking anything, even your hands, in people's bodies to begin with if you are not a trained physician. This goes double for procedures in wilderness and disaster environments. So keep your hands out of other people's orifices. Leave that for us doctors: We get selfish over those things. "My prostate exam. Mine. Mine. Mine." One of the companies that manufactures gelatin foam products is the Pharmacia and Upjohn Company, which is a subsidiary of Pfizer. I still prefer gelatin powder, because it's around the house. In fact, I have used a mixture of gelatin powder, a few drops of sterile water, and some topical antibiotic on a baby's hemorrhaging wound and it worked effectively within seconds. For more information on Gelfoam. Oxidized cellulose creates a clotting matrix that has a consistency similar to cotton. With its low pH, oxidized cellulose has a great antibacterial effect. It doesn't stick to surgical instruments or gloves and it typically dissolves in the body in 2 to 6 weeks. Do not moisten before use, because it has a greater hemostatic capability when it is dry. Cautions: It may cause inflammation of the surrounding tissue, so don't use it anywhere near nerves. And for the love of all that good and holy, don't use it on hemorrhoids; it's not a pretty picture. It is manufactured by Ethicon, Johnson & Johnson. Currently, surgeons use a nonabsorbable mixture of paraffin, isopropyl palmitate, a wax-softening agent, and beeswax. They apply is to the cut edges of bone to stop bone marrow bleeds. It blocks the bleeding channels in bone marrow, and is easy to handle. You seriously just wipe the stuff on the bone edge like a jelly puddy, but after you are through clotting the wound remove as much of it as possible to prevent bone granulomas from forming (only in 2% of cases). 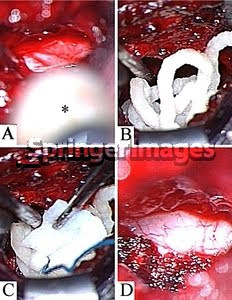 I have seen bone wax used to stop bleeds from the cut edges of the sternum during cardiothoracic surgeries. Companies like Johnson & Johnson and Ethicon Inc. market and sell bone wax to hospitals. 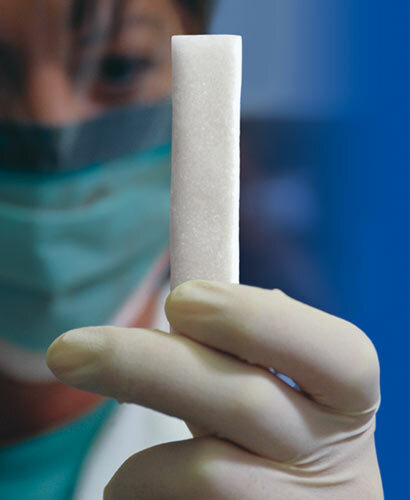 This is a pluronic copolymer blend that is a biocompatible alternative to bone wax. They look and feel the same. The use is similar to bone wax. The only difference is that ostene is water soluble and bone wax isn't. This is marketed by Ceremed Inc. in California. These products are made from cows. No. Rubbing a cow on your wound doesn't work either. These products come in various forms: sponges (Aviten Ultrawrap, Aviten Ultrawrap, Helistat), pads (Instat), fluffy white powders (Instat powder, Helitene, and Avitene Flour), and nonwoven compressed sheets (EndoAvitene, Avitene). Microfibrillar collagens (MFC) work by increasing the surface area for platelets to react upon. Platelets are blood cell fragments that are involved in clotting. Hemostatsis occurs within 2 to 5 minutes. It doesn't swell and is absorbed within 8 weeks. Because MFCs work through platelet clotting, these are not effective in patients who have thrombocytopenias. On the other hand, it works exceptionally well in patients with normal platelets even under massive amounts of heparin. Other facts: MFC is most successful in treating a large oozing bleed. It sticks to gloves, so it should be applied with DRY surgical instruments. Also, remove excess MFC from the wound site because it binds to nerves and dermatome surfaces causing pain and numbness. Companies that manufacture these products include: Davol (Avitene Flour, Avitene, EndoAvitene, Aviten Ultrawrap and Ultrafoam), Integra Inc. (Helitene and Helistat), and Ethicon Inc. (Instat). Morals of the story: Keep all hemostatic agents away from nerves. Keep your hands out of bloody holes. And don't use expanding hemostatic agents on your hemorrhoids. This is Christine your friendly neighborhood medical blogger signing off. TTFN! I am a osteopathic physician, endeavoring to provide information on Wilderness medicine and Disaster preparedness. I have a emergency management professional development series certificate from FEMA's Emergency Management Institute. I am certified in mass casualty triage, Basic Disaster Life Support, Core Disaster Life Support, and Incident Command Systems. I am certified in Advanced Wilderness Life Support and a professional member of the Wilderness Medical Society. Being interested in disaster medicine and preparedness, I am determined to produce an educational site that would assist people in preparing for disasters or pandemics whether they be man-made or natural. Please feel free to contact me with questions/comments at disaster_medicine@yahoo.com.